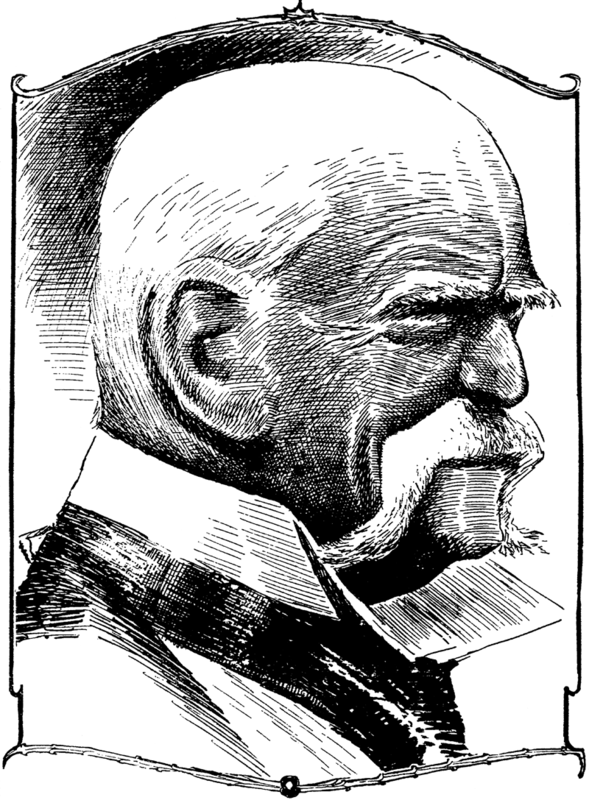 Thursday, June 4 1908 -- An unusual sports star and physical fitness guru visits Los Angeles today, and gets a full page treatment featuring this delightful portrait by Herriman. Edward Payson Weston was widely known in his day as the fellow who popularized 'pedestrianism' -- that is walking to us plain folk. But we're not talking about a pleasant stroll around the block. No, Weston didn't really feel like he had begun to stretch his legs until the hundredth mile or so. Some of his walks, which were done at a tremendous brisk pace, were multi-thousand mile jaunts. By the time he visited L.A. in 1908, Weston was pushing 70 years of age, and was still walking strong. Just the previous year he had bested his own record time, originally set at age 40, for a 1200 mile walk from Maine to Chicago. His last great walk wouldn't be until 1913, when he walked from New York to Minneapolis, 1546 miles in 51 days. He died in 1929 at age 90, proving to any doubters that walking is a great exercise.